This executive conference room at Valley Telephone Coop. 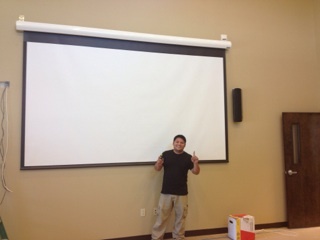 in Raymondville was equipped with everything they needed to have video conferencing. From the large 150" screen and projector to the Polycom video conference system and an Elan control system to control it all from an iPad.